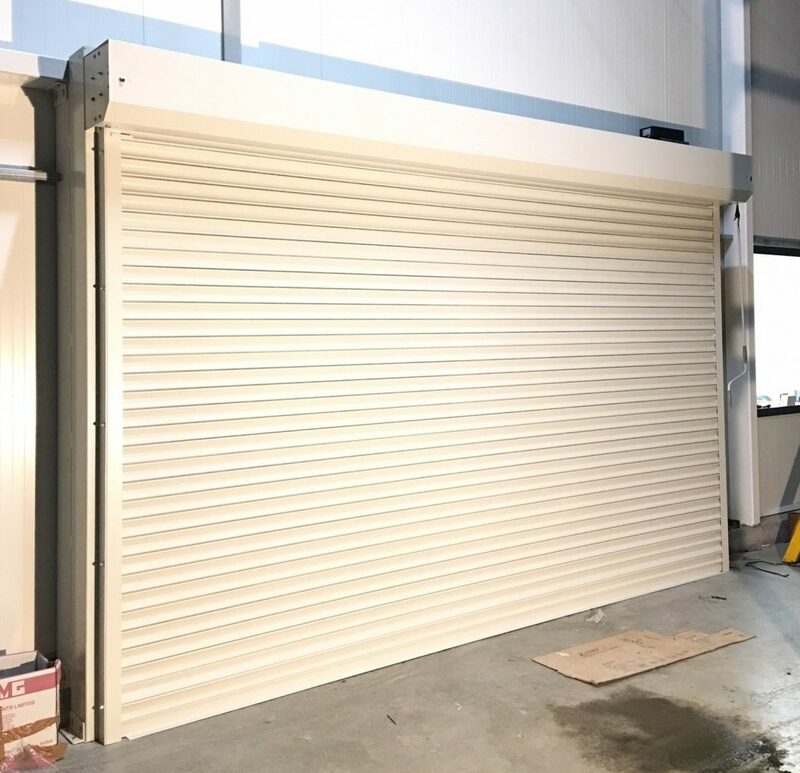 Lotinga is very proud to have been commissioned to install our Eco-Strip Speed Doors within this Industrial Greenhouse site on several occassions; however, this installation of a sliding door and fire shutter was something different. 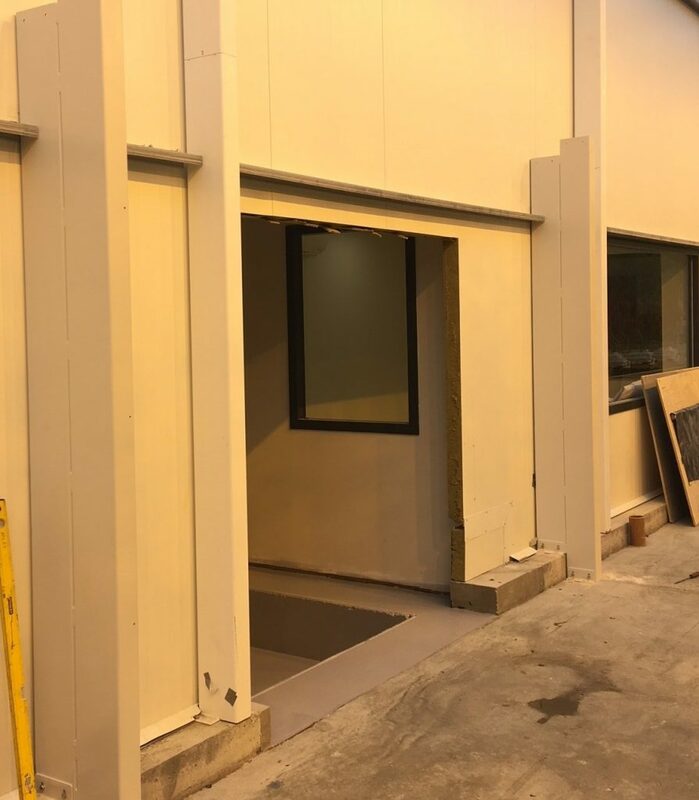 This is the entrance to the Canteen area. 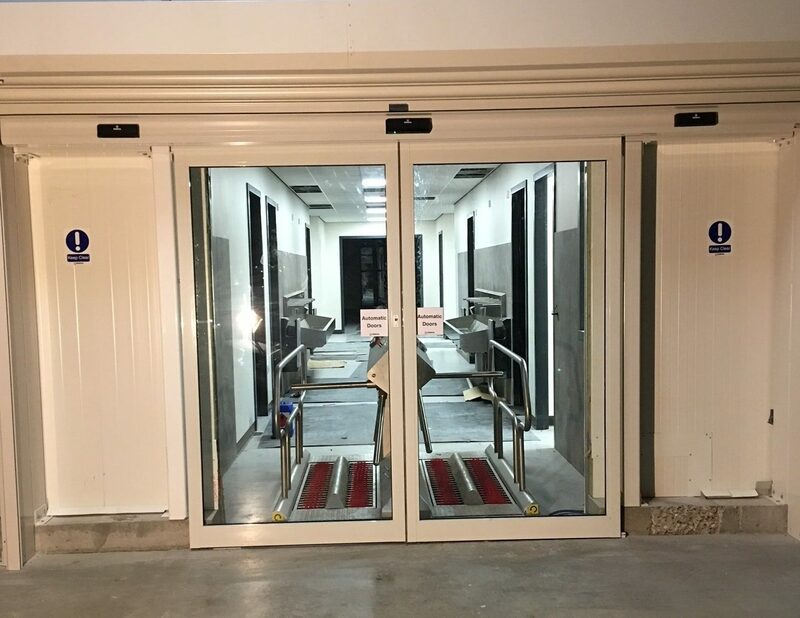 It is a requirement for Staff to pass through a Wash Station; as a result, contaminates are not walked through into the Greenhouse areas. 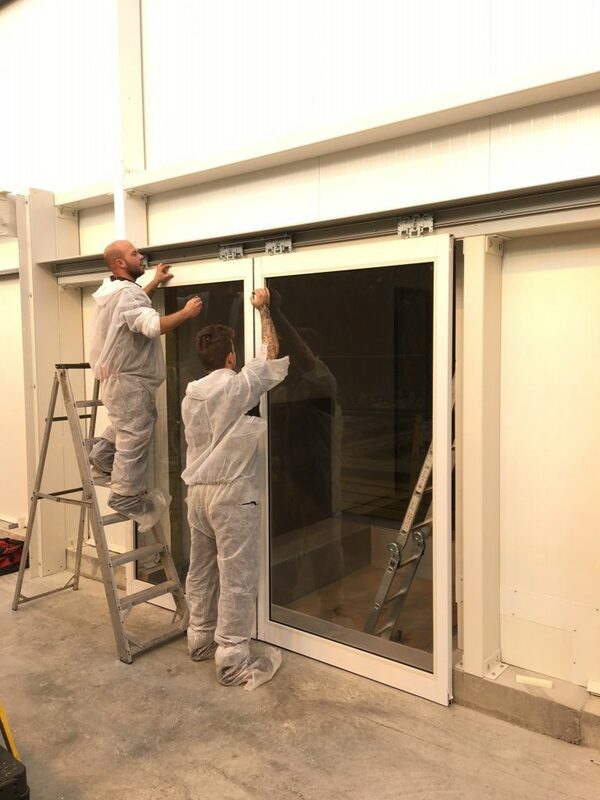 At first the installation of the Automatic Glass Aluminium Door took place. 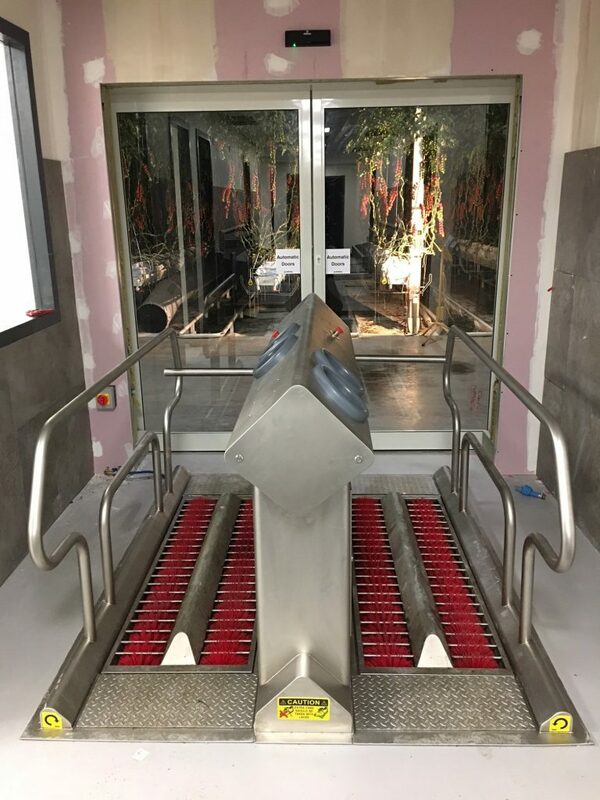 Meanwhile, installed behind the Auto Doors is the Wash Station; and in front of the glass door was a fire shutter. Altogether completing a very attractive installation. Furthermore, it provides effective fire security to the greenhouse areas. 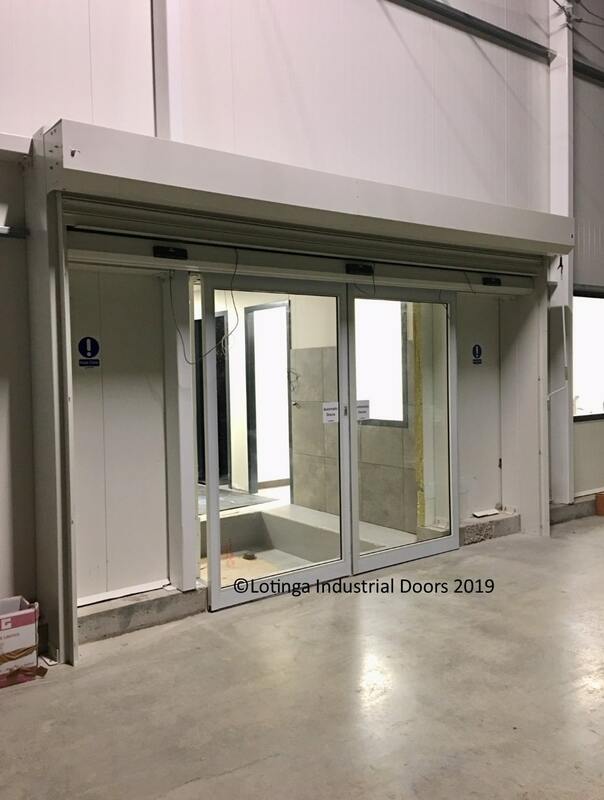 Would your premises benefit from a similar installation to this one; or maybe you have other requirements that we could help you with? Click On Our Online Form for a No Obligation Quotation.